Henrik Ibsen publishes "A Doll's House"
Emile Zola publishes "The Experimental Novel"
August Strindberg publishes "Miss Julia: A Naturalistic Play"
Stephen Crane publishes "Maggie: A Girl of the Streets"
Stephen Crane publishes "The Red Badge of Courage"
Stephen Crane publishes "The Open Boat and Other Tales of Adventure"
Theodore Dreiser publishes "Sister Carrie"
Frank Norris publishes "The Octopus"
Frank Norris publishes "The Pit" and "Responsibilities of the Novelist"
Jack London publishes "The Call of the Wild"
Jack London publishes "The People of the Abyss"
Edith Wharton publishes "The House of Mirth"
The House of Mirth, by Edith Wharton, was published in 1905. Lily Bart, the protagonist, is an upper class New Yorker in the 1890s. Her friends in her social circle falsely accuse of her of an affair with a married millionaire, Percy Gryce. Her high social status is eroded, as her friends reject her after the scandalous news. After her inability to regain her social status and continued poverty, she committed suicide at the end of the novel. The novel is important because of its biting critique of America’s social elite and the frivolous culture surrounding it. Born into high society herself, Wharton attempts to raise awareness of the ridiculous society built by America’s elite. The novel was a bestseller, as readers rushed to read the story of the tragic heroine, Lily Bart. The novel is connected to Naturalism, because it illustrates the idea that a person cannot safely escape the environment from which they were born. Bart cannot escape her roots, as the false scandal follows everywhere she goes. Her inability to escape trapped her to the high society that had already rejected her. With nowhere to go, she looked to the only solution she believed she had, suicide. Jack London publishes "White Fang"
Upton Sinclair publishes "The Jungle"
Theodore Dreiser publishes "Jennie Gerhardt"
Theodore Dreiser publishes "The Financier"
Theodore Dreiser publishes "An American Tragedy"
Established by Samuel Gompers in 1886, the American Federation of labor was the first group of labor unions to come together under one name in the U.S. The federation accounted for the pitfalls of the previous organizations, the Knights of labor and the National Labor Union, by pushing for higher wages and better working conditions for its workers. h2. Why was this event Significant? Built up of a variety of craft unions, the federation union represented skilled workers in order to ensure stronger political and economic power. 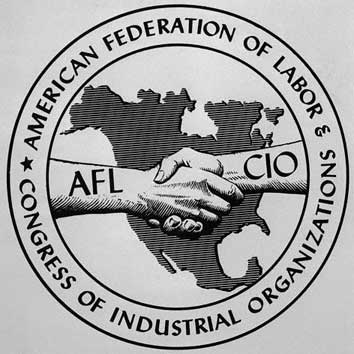 Up until the depression the Federation of Labor significantly helped the skilled workers throughout all skilled occupations enjoy the benefits they deserved while being protected from government intervention. The success of this union gave rise and popularity to unions across america, and has helped protect workers for the past century. h2. How is it related to Literary Naturalism? As for naturalism, unions are a key concept in that they help economic life flow more smoothly. Rather than always having the lower hand and being vulnerable to political rule, unions are a way to even the playing field between the working class and the government, and provide a more natural or easier mode of living. It brings people together in a natural manner and in the process rids society of impediments imposed by the government. On May 4th 1886 a mass meeting was called in Haymarket Square to protest the terrible labor conditions in the United States at the time. During the rally a bomb was thrown into a crowd of police officers trying to disperse the rally. The Knights of labor and anarchists were blamed and one person was killed and many were severely wounded. Several anarchists were convicted of murder and sentenced to death. The evidence suggests that the Pinkertons, a notably violent private police force that dispersed labor movements, planted the bomb and framed the anarchists and the Knights of Labor. h1. Why was it significant? The event led to a negative outlook on labor unions and led to the collapse of one of the most significant unions of the time, The Knights of Labor. h1. What is the connection with Naturalism? This relates to the continual struggle of the proletariat against the bourgeoisie as well as showing us a rather Darwinian pack mentality behind the riot. It applies to our reading of Zola's novel Germinal best. Amidst the fast-changing American economy, conflicts began to arise between management and labor workers. In 1890 the price of steel products started to decline, causing the general manager of Andrew Carnegie's steel mill in Pennsylvania, Henry C. Frick, to cut wages and break the Amalgamated Association of Iron and Steel Workers. Carnegie supported Frick's plan an allowed the manager to do whatever it took to force the union to work until their contract ran out. The union was not accepting of the new conditions so Frick began locking the workers out of the mill. In July all the workers were discharged and 3,000 voted to strike. Frick hired a private army of Pinkerton Detective Agents to protect the mill and the strikebreakers. 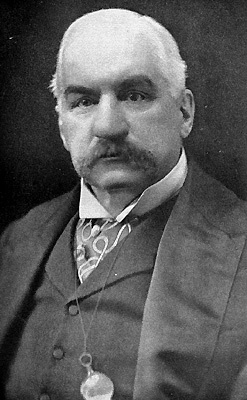 After several men were killed and wounded in a battle between the workers and the detectives, the governor of Pennsylvania called out the state militia. They took over the plant and the workers returned after four months once their resources were gone. The strike was broken on November 20, 1892. This even emphasized the clashing of capitalist drive for profit and the rights of workers. The workers union did not stand a chance against the force of Andrew Carnagie's power paired with the force of the state militia and the worker's rights were stripped away in order to fulfill the greed of a corporation. This struggle is representative of Karl Marx and his argument of economic naturalism in which political economy sees the worker as an animal or labor. The worker is degraded to the level of a machine, expected to sacrifice body and mind. At whatever cost to the producer, steel must be produced without concern for the rights of the workers. Rees, Jonathan. "Homestead in Context: Andrew Carnegie and the Decline of the Amalgamated Association of Iron and Steel Workers." Pennsylvania History (1997): 509-533. Coxey's Army was a protest march on Washington D.C. by unemployed workers. It was led by Jacob Coxey and was during the second year of a four year depression. The aim of the march was to protest unemployment and convince the government to supply more jobs. This event was the first popular protest for unemployment. It was the first march of its kind on washington and gave rise to another march in 1914 as well as drove popularity for this sort of rebelliousness and the formation of other "armies" across the country. The march was observed by many such as Frank Baum, who wrote the The Wizard of Oz which was said to have political interpretations associated with Coxeys Army. Marches with such a strong protest such as Coxeys spark change and revolution and bring about economic equality to people across the country. Industrial Workers of the World, otherwise known as Wobblies, was a labor organization founded in 1905 in Chicago; the organization had 43 groups. “The IWW opposed the American Federation of Labor’s acceptance of capitalism and it’s refusal to include unskilled workers in craft unions” (Britannica). Under the leadership of William D. Haywood, who was one of the organization’s founders and a part of the Western Federation of Miners (WFM), the IWW became extremely significant as a revolutionary institute that was committed to controlling the means of production of the workers. The organization won its greatest victories in the mining and lumbering industries of the Pacific Northwest” (Britannica). During World War I, the IWW was the sole labor association that opposed the U.S. participation in the war. They received scrutiny and prosecution for during the post war years. By 1925 the IWW had lost almost all their members. The organization largely focused on aiding new immigrants, while other institutions simply discriminated against them. The group did not discriminate against, gender, color, national origin or anything. Naturalism beliefs included an emphasis on the inherent impacts that society and the environment had to do with shaping human character. Also, naturalism believed in depicting reality through literature. In this sense, the establishment of the Wobblies would have portrayed the harsh realities of the working class. Human character was being defined by employment titles and views of ones social standing. For example, individuals other than the Wobblies, viewed immigrants as extremely inferior and petty. Charles Darwin publishes "Origin of Species"
Charles Darwin published On the Origin of Species by Means of Natural Selection, or the Preservation of Favoured Races in the Struggle for Life in 1859. The theory of evolution through natural selection was first introduced in this text and continues to have ethical and theological implications today. The theory of natural selection replaced and built upon the previously accepted theory of Lamarckism. Natural Selection did for biology what Galileo did for astronomy. Darwin’s proposed theory created a new school of thought and is considered one of the greatest scientific revolutions. Darwin did not entirely remove God from the equation but he did contradict creationism or the idea that each species is created independent from each other. Darwin was fiercely agnostic which is reflected in his writing as his language does directly disprove or prove the existence of God. Naturalism was inspired by the objectivity of Darwin’s text as well as asking questions about the human vice. Evolution suggests that the human race is merely the evolved ape and that our urges are instinctual and animalistic in nature. Naturalism examines taboo themes and deterministic view of life. John Stuart Mill publishes "The Subjection of Women"
Charles Darwin publishes "The Descent of Man"
Herbert Spencer publishes "The Study of Sociology"
Henry George publishes "Progress and Poverty"
Capital, originally written in German, is a critical analysis of political economy, intended to reveal the economic patterns underpinning the capitalist mode of production. Throughout the book Marx generally presents a systematic account of the nature, development and future of the capitalist system. A significant amount of his work depicts the ways in which workers are exploited by the capitalist mode of production. Marx argues that commodities have a use-value and an exchange-value; the exchange-value is determined by the degree of labor-power that went into it. Traditionally, people bought commodities in order to use them; capitalists use them in order to ultimately increase profit. They spend money buying the commodities, and then sell them for a profit. Then the cycle repeats itself. In this system, capitalist are able to make a profit because they simply pay the workers their value, or how much it takes to maintain functionality. The problem is workers are exploited due to their consistent ability to produce more than that amount in a day. In this case, the capitalists have more power and control the means of production. The workers are negatively impacted; the repetitive work makes them slightly greater than machines. Overall, Marx believes that the capitalist system is unstable. The publishing of the translated version of Capital is significant because it presented Marx’s accusatory notions of the capitalist system. Some understood and supported his remarks while many opposed them. He produced an extremely controversial book that questioned the system, which people were accustomed to following. This event does not have a clear connection to naturalism, yet it is apparent that Marx’s theories of the capitalist system would have contributed to the elements of naturalism. Written by Mickela Heilicher 25 March 2015. Jacob Riis publishes "How the Other Half Lives"
Suicide, published by Emile Durkheim in 1897, was a methodological study of suicide. He intended to study suicide rates from a scientific standpoint. The book is split into three main parts, and in book two he establishes his theory that suicide was not due to an individual’s distinct personality, but due to certain social structures that indirectly promoted suicide. Durkheim’s book is important, because it was the first novel to explore a social reason for suicide rather than explaining suicide through certain individual personality traits. The novel was also the first scientific study, using statistics on the number of suicides in Western European countries like France, England, and Italy. The novel is related to Naturalism, because a core tenet of Naturalism is that social structures and environments are what determine one’s character, personality, and success in life. Durkheim’s argument is a naturalistic arguments, because he postulates that it is certain social structures that lead someone to commit suicide. One is not predisposed to suicide because of personality, but because of where or how they have grown up. The idea is similar to Crane and Zola’s novels that deal with characters stuck in perpetual cycles of poverty. 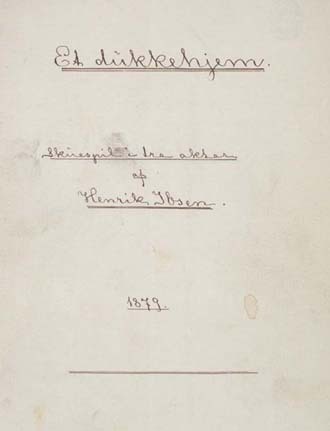 Thorstein Veblen publishes "The Theory of the Leisure Class"
The Theory of the Leisure Class is an inquiry into the nature of economics in the modern society. 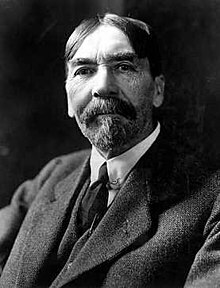 Veblen highlighted the hierarchical order that the economic order creates, with a group of the top that run the economy and spend lavishly with a base dependent on blue collar workers. Veblen's solution to this problem is for economists to take into account human nature, irrational decision making and seekers of opulence. Lincoln Steffens publishes "The Shame of the Cities"
Sigmund Freud lectures in U.S.
Sigmund Freud, the inventor of psychoanalysis, gave lecture in the United States for the first time at Clark University. He introduced psychoanalysis, a method of phycology, to the US. Sigmund's naturalistic perspective that humans are driven to survive and reproduce are building blocks in the foundation of psychoanalysis. The Home Insurance building is notable for being the first tall building structurally supported by a steel framework. It's architect was William Le Baron Jenny, and his design set the stage for hundreds of skyscrapers to follow. Skyscrapers subsequently became a symbol of civic engineering, giving literal prominence to the skylines of cities. These tall, steel framed buildings became symbols of wealth and power, filled with hundreds of offices and workers. A visual oppression of the proletariat. Originating in Ohio, John D. Rockefeller became the leading figure in the emerging oil industry in America. The company was immensely successful through the 1870's and 1880's. The company was a prime example of a monopoly after the Sherman Antitrust Act was passed in 1890, and was quickly sued by the Attorney General of Ohio. h1. How is it related to Naturalism? Naturalists often considered capitalism to be a form of economic natural selection, and the issues of such a philosophy are somewhat embodied in this company's success. Andrew Carnegie publishes "The Gospel of Wealth"
This event is important to Literary Naturalism because it set the stage as the first billion dollar company of the times, and became the target of many anti-trust litigation attempts. It was important to the era of industrialization and capitalism at the turn of the century. The Mann act also known as the white slave traffic act, was a law passed in 1910 that made it illegal to transport any woman or girl across state lines for any immoral purpose. The law was in place until it was amended in 78 and again in 86. The 86 amendment is of importance because it changed "any immoral purpose", with "any sexual activity for which any person can be charged with a criminal offense." The significance is that although amended this law still hinders prostitution and sexual slavery. Putting an end to white slavery is, in itself, a naturalistic act. On October 8, 1871, a fire broke out in a barn on the southwest side of Chicago, Illinois. The fire lasted for 24 hours resulting in destruction within the heart of Chicago and 300 deaths. The fire's destruction also lead to one-third of the city's population homeless. Ninety thousand people to be exact were left homeless. This catastrophe was named "The Great Chicago Fire". Although the fire was believed to have started in a barn the true cause is still a mystery. The fire had burned an area of 4 miles long and 1 mile wide. The fire destroyed 17,500 buildings and 73 miles of street. After The Great Chicago Fire, The Great Rebuilding was in full force. Looking at this event from a naturalistic view, the fire pushed the Chicago government to evolve and adapt to harsher environments. The Great Rebuilding lead to fireproof building materials and new architecture. Limestone, brick, and marble replaces wood in constructing the new buildings. Fireproof materials were too expensive for the poorer Chicagoans which lead to thousands of people and small businesses leaving Chicago. In a period of empire building and imperialism, Spain and the USA came toe to toe in a fight for expansion. When Cubans began to revolt against the ruling Spanish, the USA stepped in demanding Spain to remove itself from Cuba or face war. Many justified this imperialism as a form of survival of the fittest, viewing the United States as a power justified in its expansion because of its power. In 1906, San Francisco received an earthquake that created significant horrific damage regardless of its' duration being less than one minute. The earthquake left 400,000 San Francisco residents homeless, 3,000 people dead, and ignited fires that lasted for three days. San Francisco had a military training base in what is now the Presidio National Park, yet said military presence couldn't combat the damages caused by the earthquake and fires in time to save the victims involved. Congress, the Senate's Appropriations Committee, and the House Claims Committee sent aid to San Francisco immediately. This earthquake having caused damage of momentous proportions did not discriminate based on class or race, unifying a city of unequals. This tragedy inspired a great deal of art that took a naturalist stance in depicting exactly what the artist saw and not what they had interpreted. 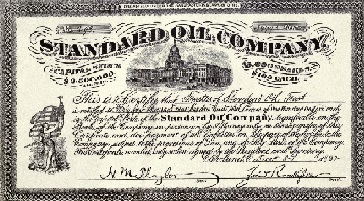 The Panic of 1873 originated in the rapid expansion of the American securities market in response to the capital demands of the war effort and railway development. Many small investors got their first taste of the securities market while buying bonds floated to finance the U. S. Civil War. When the war was over, railroad entrepreneurs found a ready market for stocks and bonds to fund the massive expansion that culminated in the Union Pacific Railroad’s completion of the first transcontinental route in 1869. The trigger for the Panic of 1873 was the failure of Jay Cooke & Co., America’s premier banking house. Cooke’s firm closed its doors in September, precipitating bank runs, a U.S. stock market panic, and a worldwide depression that some scholars believe extended into the 1890s. The Wall Street Panic and Depression of 1893-97 was largely in part due to the overbuilding of railroads, with overfunding by large banks. Too many railroads were built, with more money being spent on the building, than what the railroads were actually earning. The political group of Populists used this example to show that more emphasis was placed on rich bankers and railroad owners, rather than the poor wheat and cotton farmers (Wikipedia). The ensuing panic also caused the price of wheat and cotton to decline (Wikipedia). Because of the panic, numerous banks and small farms were forced to shut down. The connection to Naturalism is evident through the short story "A Deal in Wheat" by Frank Teague. Much of the emphasis of this crisis was on the bankers who while they did suffer, were still wealthy, while many poor farmers were put out of business. The wheat and cotton magnates in the story are just moving and selling cotton without producing anything, and still becoming rich, while the farmers are losing money. This emphasis on the neglect of the poor that is evident in naturalism, could in part, stem from the neglect of the farmers needs during the panic of 1893-97.
caused insurances premiums to be paid from europe namely english insurance agencies, from there a massive inflation by the english. Among this several acts were passed by congress that caused to massive inflation and the combination of these events led to a massive economic crash. In 1887, Tesla invented the first AC Induction Motor. This was only one of his hundreds of patents. Hailed as one of the greatest inventions of all time, Nikola Tesla's AC Induction Motor was decades ahead of the other technology of the time. This made unit drives for machines feasible, and solidified the necessity of electricity in the modern economy. Tesla's motor had huge role in shaping the future economy. Naturalists strongly believed in an economy focused on the survival of the fittest. This invention helped many companies succeed, but also helped create problems of unemployment, as the concept of automation was arising.